"Carol, a middle-aged wife and mother, is pondering the meaning of life. On a trip to the grocery store to find some energizing dark chocolate, she sees a sign asking for volunteers to deliver meals to the elderly. When Carol decides to take a chance and help out, she's in for a life-changing-and route-altering-experience." MY REVIEW: This story,although fictitious, is based off of Gale's experience volunteering at the Meals on Wheel program. 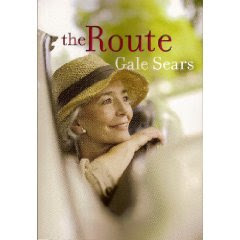 The story follows Carol as she visits her elderly "customers" each Thursday.Although this book is a quick read, I am very impressed at the emotion depth Gale portrays in her book. As a volunteer, I know the feelings of eagerness and doubt you feel. I have also felt the sadness that comes seeing the lonley lives people live. Its a tough reality check but I really enjoyed it.